In 2009, a group of partners established a new national shortrun & longrun trade only business document printing company focused on producing quality business checks, forms, envelopes and other business documents. The partners who formed CFC Print Solutions are industry veterans who believe that the business document printing industry has become saturated with large conglomerate print manufacturers who too often lack focus on the needs of distributors. This has created an opportunity for a company like CFC with old fashioned values and sincere devotion to print distributor’s needs. CFC’s primary focus is to help print distributors stretch their dollars by providing great value and world-class services making them more competitive and more successful; which has never been more important than it is today during these very challenging times. CFC's centrally located national production plant in Grand Prairie, Texas offers a unique value proposition to print distributors seeking to earn more profit and offer end-user's superior services. 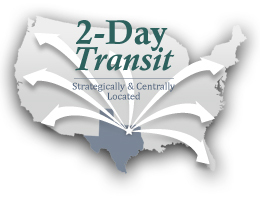 CFC's standard delivery is only 3 days and CFC ships product nationally to any location in the country at local region UPS rates. We designed our "one plant" infrastructure to give print distributors the quality and services needed to excel in their regional marketplace, all from one location, eliminating multi-plant/regional plant variation. We also offer FREE rush services, FREE PMS inks, FREE composition, FREE storage, Urgent UPS 2nd Day Air partials for only $7-9, FREE online services and online repeat ordering, and a 2% prompt pay discount. World-class services, technology, great prices and great products, that’s what CFC is all about! We invite you to join us and to do business with us! Please review CFC's capabilities, contact information, and ordering information on our additional web pages.